The next upcoming Lincoln's Birthday is on Wednesday February 12th, 2020. Lincoln's Birthday is celebrated on February 12th every year in celebration of one of the most popular, well liked presidents in the United States. As president he abolished slavery and preserved the Union from falling apart during the American Civil War. Other popular Presidents that have their birthday celebrated are the first president of the United States George Washington and the principle architect and writer behind the Declaration of Independence, Thomas Jefferson. People celebrate by reflecting back on Lincoln as a President and may go to celebrations/events that center around the man and his contributions. Lincoln's birthday is a public holiday in California, Illinois, Connecticut, Indiana, Missouri, New Jersey, New Mexico, New York, and West Virginia. Other states may have government offices and schools closed. President Lincoln was the 16th President of the United States from March 4, 1861 to April 15, 1865. He was born in Hodgenville, Kentucky February 12, 1809 on the western frontier. He was self educated and eventually became a lawyer. He was elected to the Illinois House of Representatives in 1834 and later moved on the United States House of Representatives in 1846. Elected president in 1860 as a member of the Republican party, the Civil War was just about to start. He presided as president throughout the civil and was responsible for the Emancipation Proclamation (free slaves) signed by him on January 1, 1863 and keeping the North and South together as the Civil War ended. 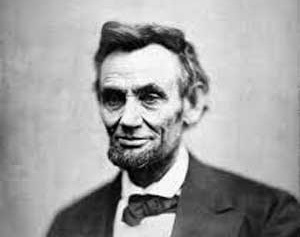 Lincoln's life was ended six days after the Confederate surrender by John Wilkes Booth on April 15th 1865.